Great - thanks - I saw that other thread, but your link is the best looking one I've seen...Appreciate it! 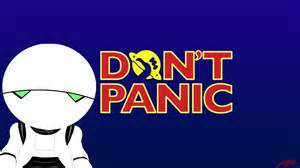 What's the make/model of that dual-usb voltmeter, and did you say you'd just do the voltmeter and the relay, not the switch? 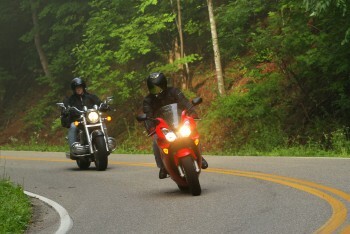 TOD trip in June with brother Mike (97 Valkyrie). Fantastic rides for 4 straight days. Road Trip with Brothers Dave & Mike from KC to SD. 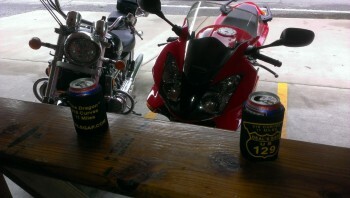 Also google "Anchor Bar Motorcycles" - a pleasant surprise to see so many bikes littered throughout the bar! 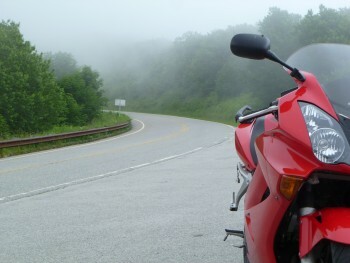 What type of riding do you use your VFR for? Teeing up a softball, here I think! I bought this knowing I can only get one bike, and there is no other bike that can do it all; possible exception is a Triumph Sprint. This year I've done an Ironbutt from Wichita to Kingman, AZ, and an about to do my 2nd track day. Zero disappointment in either. I put no fewer than 10k miles a year. It looks great and feels great. Living in the midwestern US, the heart of Harley country, when asked why I ride this instead of a Harley, I say, because MATH....It costs a quarter as much as a Harley, goes twice as fast, using a third the gas...No. Freaking. Brainer. 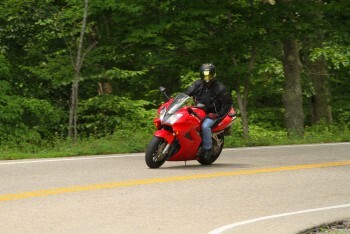 Can I name any one bike that can beat the VFR in any one thing? Of course. May just be me, but can I name one other bike that can do it all? Um, no. 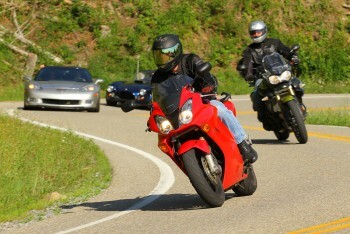 Took the 2005 VFR with Brother on his 1997 Valkyrie. Trailered from KC to Dayton. Up through Detroit to Pt. Pelee, then Toronto, Allegheny Forest, Wayne State Forest, then back to Dayton. Great Trip! Had to check out the museum in Dayton, and does this also qualify as a Flat 6? 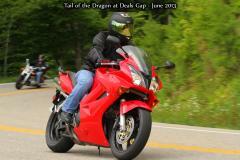 Ran across a Canadian VFR at this stop on a great road in Southern OH. A place my Dad and Uncle visited in the Allegheny, when they were young. Great place with great locals. Great ride on the north side of the lake, Toronto is a great town! Watched the Blue Jays beat the KC Royals and some great pubs. Love this town. ...near Pt. Pelee park, our first campground. Just crossed the bridge into Ontario. Trailered to Dayton, dropped the girls off for their trip, while the boys and the bikes ride out.